Work Shift Requirement: All members are required to fulfill one work shift over the course of the CSA season. Your share has not been paid off in full until you have completed your shift. Each shift involves spending one hour assisting at a weekly distribution, either from 6 pm – 7pm or 7 pm – 8pm. During these two evening shifts, CSA members will help tenants shop for vegetables, answer questions about produce, and manage the cash box. At the end of each CSA, any leftover vegetables are donated to City Harvest, a nonprofit that provides produce to food insecure populations. 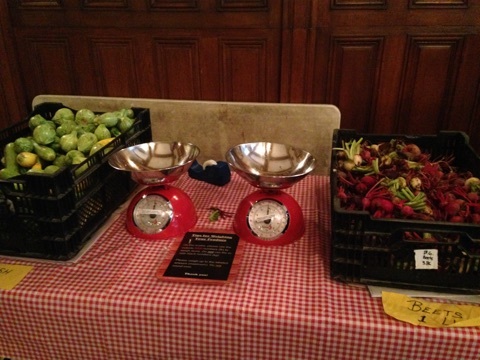 CSA members will help bag unused vegetables, breakdown tables and put away CSA supplies. For any shifts cancelled within 24 hours of the start time, there is a $20 cancellation fee in addition to the expectation that the shift will be made up at a later date. We hope all members understand that these distribution works shifts are an integral part of making the CSA run smoothly, and we need you there to help us! Please check back soon to sign up on our VolunteerSpot page. How to Opt Out: For anyone who is unable to commit the time to a work shift, there is a $40 opt-out fee that can be paid at any time up until the third-to-last distribution. At that time, if you have not yet volunteered or paid the opt-out fee, you will not be able to pick up your produce until you have paid the fee or committed to an open volunteer shift. 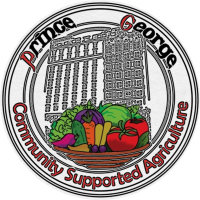 Please note that all fees relating to the CSA go towards subsidizing the Prince George Farmer’s Market, where the low-income tenants of the building are able to buy produce at a reduced price. Why We’ve Made These Changes: Past CSA members may notice we have made some changes to how our volunteer system will work for this year. What we’ve found is that we really need the most help during the distributions, and having CSA members be committed to and present for their one-hour shifts helps the whole distribution run so much more smoothly. We appreciate you being open to these changes, and you are welcome to reach out to CSA staff with any questions at csapg@breakingground.org. Extra Volunteer Opportunities: All of that being said, we hope that some of you will still share recipes, articles, and volunteer your time with us! CSA members are encouraged to still share recipes and articles for our weekly newsletter, and are always invited to help us to put on occasional cooking demos for the tenants during distributions. We hope that by making these additional tasks fully optional, CSA members will embrace the “Community” aspect of Community Supported Agriculture and contribute to our CSA in whatever extra ways they can.